Credence Research reports that the global cell culture market was evaluated at $15.89 billion in 2013. The company predicts that this market will reach $37 billion in 2022. GEN’s contributing editor K. John Morrow, Jr., PhD, recently interviewed several cell culture technology experts to gain some insights on choosing the right cell line, improving production rates, and addressing the challenge of protein modification in CHO cells. GEN: In choosing cell lines for upstream production (USP), the options are: use a cell line, such as CHO, which is available through public sources; employ a patented cell line and pay user fees; or develop one’s own cell line. What are the factors that affect this decision, and is there a single, optimal choice? 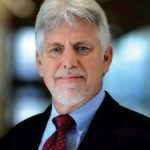 Dean Edwards (DE), PhD, professor, department of molecular biology, Baylor College of Medicine: In my experience there is no single optimal choice. This is highly protein specific and should be determined empirically. Important factors that should dictate the above options are end-point usage of the protein product, what information on expression of the recombinant protein of interest is available in peer-reviewed research literature, and, of course, the relative underlying costs and investment of time. 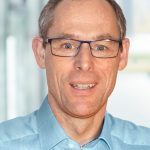 Bernd Rehberger (BR), manager, cell line & media development, Sartorius-Stedim Cellca: There is no single choice but rather several paths to optimization. For small startups struggling with timelines to produce a proof-of-concept for their first therapeutic protein and surviving the next financial round, in-house development often is not a viable alternative. On the other hand, an established biopharmaceutical company that manages its own pipeline may decide that a proprietary cell line platform might be beneficial. This will allow integration of the recombinant cell line production for biopharmaceuticals into a streamlined screening process and give control at every step. Finally, having access to a proprietary cell line in-house will ensure that the investment in manufacturing facilities can be employed on a continuing basis. At least no changes will be necessary due to the features of your cell line system. But for start-up biotechs in need of a recombinant CHO cell line, my belief is that the best way to go should be with one of the well-established cell line development companies on the market. They will not only deliver a vial of cells at the end of the cell line manufacturing process but will also guide the “new kid on the block” through the process of establishing the key starting material for the upcoming GMP manufacturing process. Most contract manufacturers are working on business models that are license free and will not lead to enormous follow up costs for the young companies. Using commercially available host cell lines “off the shelf” will help in doing early in-house research, but if cell line development is intended to finally end up in large scale GMP-manufacturing, the important link between “shelf” and the bioreactor is missing. Therefore, the risk is high that the efforts and resources required to develop a manufacturing process, including suitable cell culture and feed media for this cell line, will chew up all advantages that may come with “homemade” cell lines. For large pharma, this a is now a moot point, as all of them have their own cell line companies and may transfer the proprietary molecules into their own expression system. Overall, the decision should not be focused on the CHO cell line itself, but more directed toward the entire CHO cell-based production process, including cell line development. The value of a cell line by itself, as a standalone, is limited. The cell must come together with a recombinant cell line development process as well as a direct link to an adjacent production process, ready for GMP and scaleup, thus a platform. Thus, it’s more important to have access to such a process instead of the origin of the cell line alone. Based on this consideration, outsourcing of the entire cell line and upstream process to a CHO-platform provider might be more effective in time, yield, and quality than investing time and money in the search for the potentially best cell line available. Especially small/mid-sized biopharma companies have come to the decision that relying on cell-line-development-platform providers and outsourcing all steps from DNA to MCB and USP-platform process allows them to free capacities and resources in their own labs. Steven King (SK), president, Artius Bioconsulting: Publicly available CHO cell lines are often seen as a viable option. The issue may be the time and difficulty to develop a moderate to high producing cell line. In a way this is the middle of the pack from a time and cost perspective. In addition, traditional sources of CHO such as ATCC require a license prior to commercialization. Critical considerations from a regulatory perspective are the origin/source of the cell line and its characterization. Patented cell lines can be attractive because of the high success rates in achieving high producing cell lines in a reasonable timeframe. The trade-off is the expense of access to the systems and the potential for royalties which can have an impact on long-term value propositions. In general, these systems have a proven track record, including commercial production, well characterized, and lower regulatory risk. Some companies choose to develop their own cell line, although this is a longer-term process that only makes sense if you have many projects over an extended time period. Once the cell line is established, expression projects can begin moving forward, meaning that it could take many months or even years before the first production cell lines are available from the system. A risk is that the system will have no regulatory history, so documentation and characterization are extremely critical. But we need to bear in mind that nobody ever lost their job by recommending CHO, so there may be some bending of overall preferences. 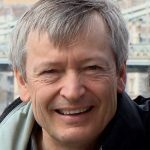 Florian Wurm (FW), PhD, chief scientific officer, founder and chairman, ExcellGene: It should be noted, that some commercially available host systems are not that expensive anymore, since the times of royalty-loaded host systems are mostly gone. GEN: CHO today is the cell line of choice for in vitro protein production. There are constant, ongoing efforts to improve production rates in CHO, principally by adjusting the medium. But this is a challenging and time-consuming process. Please discuss at what point does one decide to live with production rates that may be less than ideal, yet allow for adequate or marginally adequate yields? DE: Production rate vs quality of protein product must be weighed. Total production rate vs the fraction of protein that is soluble and properly folded or modified with desired functional activity should factor into a decision. Increasing total production rates could be counterproductive if protein modification and folding systems in the cell are exceeded leading to misfolded or non-functional protein. If CHO cells are not optimal for the protein of interest by simply adjusting the culture medium, it may be necessary to test other mammalian cell lines (we recommend suspension adapted 293, or Hela). BR: Actually, efforts in the direction of pure titer improvement are still ongoing, but the focus is clearly shifting to produce recombinant biopharmaceuticals at a “higher quality level.” This goes into the direction of higher specific bioactivity of the molecules and a better-defined. critical quality attribute pattern. General calculations of the impact of the USP on the cost of goods endorse 3g/L in a 12–14 day fed batch as the level to reach for a commercially viable USP. Every improvement above 5g/L has a neglectable positive effect on the entire cost of goods. Indeed, media development was and still is a very tedious and time-consuming exercise as it can be disruptive to the biology of the CHO cells. In fact, until recently, media development was often avoided following the cell line development and the way to go was to use the production media coming with the platform. In the last few years, big advances were made in the field of biological data analysis and data management. If tools like MODDE and SIMCA are used for Design of Experiment approaches and multivariate data analysis, the time required to test at least the most important factors of media design on their impact on the cell line productivity and, as important: the critical quality attributes of the molecule to produce, can be tested and in the best case optimized. At least, those experiments will tell you within a pre-defined time frame, whether there is a reasonable path forward in media optimizing or whether time and effort should be better invested into other parts of the production process. The main reasons to allow for these heavily software-driven approaches have been the improvements in affordable high throughput analytics and the introduction of downscale multi-bioreactor devices. 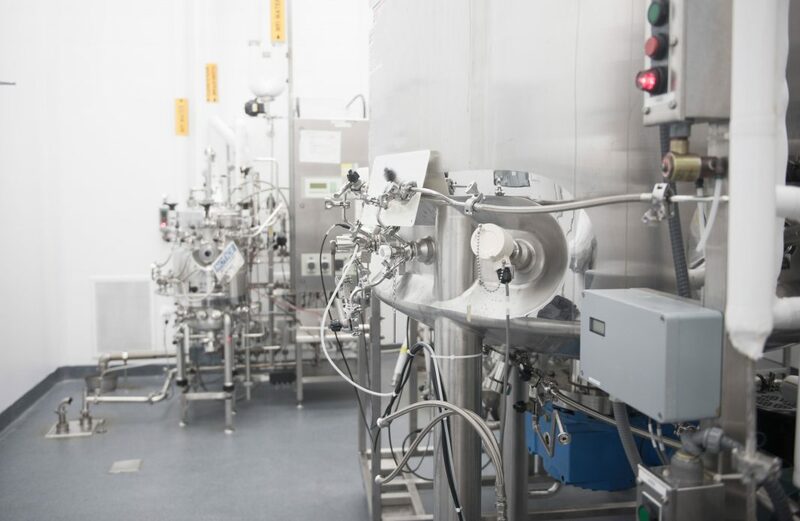 Systems like the ambr®15 or the ambr®250 dealing with 12×250 mL bioreactors allow the cultivation of the cells applying the parameters of a large-scale bioreactor system, thus at the highest possible level of predictability of the small-scale screening data on the final GMP manufacturing run. Yet, even applying those tools to an established CHO expression platform will not lead to multifold increases in titer. Available platforms are now so well defined that large increases can only be expected for recombinant cell lines that have not been developed within the frame of an established expression platform, which includes the culture media system. Basic media development performed on the basis of the expression system (CHO host cell, selection system, production process) may still be beneficial, depending on the starting level. But this should be done independently for specific molecules to be expressed and should be performed to bring the platform to a generally higher level. SK: For start-up companies the goal is to move fast on a tight budget. The calculations can come down to a simple formula of how many runs will it take to produce enough material for toxicology studies and Phase I clinical trials, at the available level of cell line productivity. If the cost is not prohibitive the companies will often move forward without optimization and run a parallel program to improve yield while they initiate clinical trials. Of course, this approach means, as the size of clinical trials grows, there may need to be significant changes in the manufacturing process that will have to be implemented during clinical development, including comparability studies and regulatory filings. On the other end of the spectrum are the rare companies that will not start production until they have a cell line that can support commercialization. This is more time consuming but requires fewer changes during development lowering the regulatory development risk. Most companies end up somewhere in the middle with a cell line that could support commercialization with process optimization prior to Phase III clinical trials. This approach has relatively smaller regulatory and economics risks as compared to the other options previously discussed. FW: Another important consideration is anticipated scale of operation for starting Phase 1. Access to very large scale CMOs (2000 liters or more) is becoming more difficult and costly, because most charge for the volume, i.e., they are not interested in improving yield, since that would reduce their income (fewer, smaller scale runs). However, with some attainable yields from not-so-well knowns CRO/CMO companies reaching the 10 g/L range much smaller scale and fewer runs can be envisioned. GEN: At the end of the day, CHO cells are still CHO cells. Is the inability of CHO cells to carry out essential secondary modification of proteins, such as glycosylation a deal breaker, or can CHO cells be engineered with a reasonable investment of time and money to perform these modifications? DE: There is no simple answer to this question. The choice is highly dependent on the specific protein of interest, the nature of the post translational modifications that do not occur in CHO cells. and the end-point use of the protein product. BR: Yes, but it’s a really good thing that the CHO cell is indeed a CHO cell, as this provides a powerful level of continuity to cell line development and manufacturing, allowing for faster and more successful scaleup. But yes, protein modification in CHO is an issue. Even human-derived cell lines such as HEK293 do not perform proper human glycosylation. This may be the case for future cell lines under consideration, generated from new sources of primary cells, or just “cuddling” the already available cell lines. On the other hand, genome editing tools have improved markedly over the last few years and the genome-based knowledge of the CHO genome provides the tools for its genetic modification. Data presented at recent meetings demonstrate that academia as well as industry have already improved the glycosylation patterns of the molecules expressed by CHO to emulate the human patterns. In the future we can anticipate further optimization of the CHO glycosylation profile. With an approach to a genetically engineered CHO cell, the improved functionality of recombinant biopharmaceuticals will have a bigger impact on the batch sizes or batch numbers per year than any media optimization or any other approaches. To date, qualitatively relevant multi knock-outs and -ins of relevant genes can be achieved in less than a year. Opposite to the case of the classical, non-modified CHO host cells, licensing a genetically engineered cell line that has shown its capability in expressing the required glycosylation pattern early might be useful. SK: There are genetically engineered CHO cell lines that can provide proteins with desired glycosylation patterns (i.e., afucosylated antibodies for higher ADCC activity). Another approach has been to adjust media feeds to achieve desired glycosylation patterns. The main goal of cell line selection and process optimization should be to achieve the desired potency and pharmacokinetic profile of the product in a way that can be consistently produced. FW: CHO cells have enormous metabolic diversity; thus any non-clonal population may carry a significant panel of capacities for diverse secondary modifications. Applying early evaluations with clonally-derived populations may give hints which of the ones are worthwhile to pursue further, and eventually to combine those with designed media formulations that provide chances to match the quality expectations. The metabolic diversity is based on the ever-changing genetic makeup of CHO populations that evolve through natural selection in vitro in a Darwinian way. GEN: According to Andreas Wiesner of Sartorius, the key to improving media is to take a holistic view. Could you expand on this statement? DE: I believe Weisner argues that a protocol for culture medium optimization must consider a balance between total protein production, properly modified functional protein, and the overall costs in order to be a successful approach to the long-range project goals. This philosophy is the most efficacious route to a workable protocol. BR: I can completely agree on this. The media formulation has a direct impact on every step of upstream processing and these results also influence downstream processing. As cell culture and upstream processing are dynamic processes, a non-static flexible medium platform would be desirable. However, media components that significantly improve process steps or even the entire process might not survive the rigors of an FDA or EMEA approval process. All these points have to be considered during media development. Also, from a purely biological perspective, the media components directly end up in the complex matrix of the cell, influencing not only one single cellular protein or pathway, but also inflicting collateral damage, triggering side reactions in the metabolome of the cell. And these might affect the type of upstream process chosen and altering process parameters. From the economic point of view, there must be a clear idea going into the program, concerning what level of performance is the goal of the contemplated expression platform, and what will finally be acceptable, given that a large investment of resources hangs in the balance. SK: Ultimately, the process in biologics largely defines the product and the cell line and how it is grown. I agree that the key to improving media is to take a holistic approach and to understand the design space around media, media feeds, and their impact on critical product characteristics. Simply pushing cell lines to higher and higher productivity without properly understanding potential process variability and its impact on product quality can result in a process that does not deliver consistent product from batch to batch when a large number of lots are produced. Future issues to be considered: CHO cell line development still requires a relatively long time period. We need to investigate approaches to speed time to generate GMP material for clinical studies. In essence, cell line development is the gating factor to speed biologics drug development. This may require a company to establish early on a target product profile and an estimated/agreeable COGs for the product that they develop. With that in mind, one should start off with developing a good cell line that expresses reasonable titer to start with. FW: The key to high yield and excellent quality is a match of clonally derived cell lines and the best media formulations available. Some companies offer high-throughput media screening using small-scale systems (multi-well plates and OrbShake tubes (50ml) that predict large scale behavior. Screening of cell lines with less than 10 different media-and-feed formulations will only give limited access to the best match. Providers that have chemically defined media with critical modifications of some of the key ingredients may be able to obtain excellent yields, since they know early what a specific cell line may need, when doing their initial screenings. John Morrow, Jr., PhD (kjohnmorrowjr@insightbb.com), is president of Newport Biotechnology Consultants. 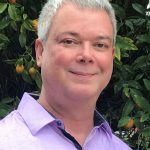 He is also the co-editor of “Biosimilars of Monoclonal Antibodies: A Practical Guide to Manufacturing, Preclinical, and Clinical Development, published by John Wiley and Sons.